Anthropologie colour block dress | Is This Mutton? 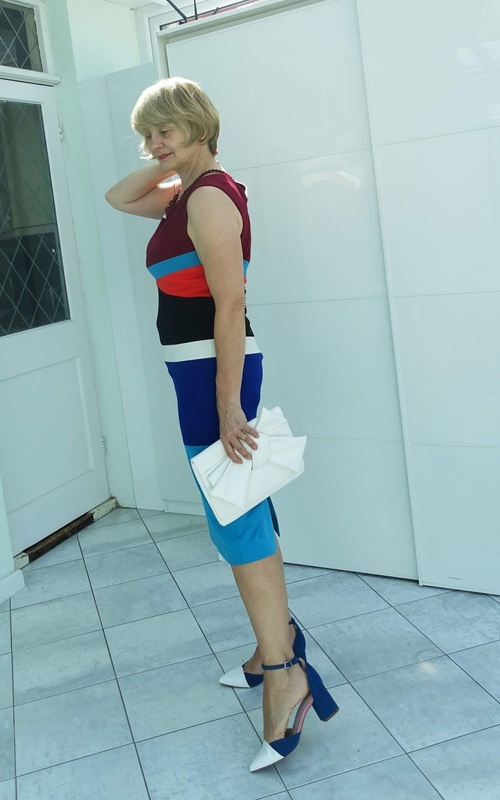 I didn't buy a colour block dress when they first came out. They seemed to be sold as dresses that took off inches. Now the colour blocking is less about creating hourglass shapes than having fun with colour. This Anthropologie dress caught my eye because of the unusual mix of colours, and, with an eye on autumn, I thought it would make a good transitional piece paired with perhaps a lightweight Kettlewell silky top. I snapped up it in the sale, along with the teal and white shoes from Next. It's my "reserve" for a wedding next Saturday. I'm not sure which dress I will go with. Probably the other one, which I'm not showing you (yet) because this dress can be worn to smart work occasions, whereas the other dress is more dramatic. The fabric is wonderful, skimming the figure in a kind way. I relished the chance to wear a necklace which my mum gave me years ago. She thinks it's some sort of rare stone but I'm not sure. I'm looking forward to having a hair cut next week. Come back on Thursday for Sentence a Day to find out what I did in July. There was quite a bit of football. 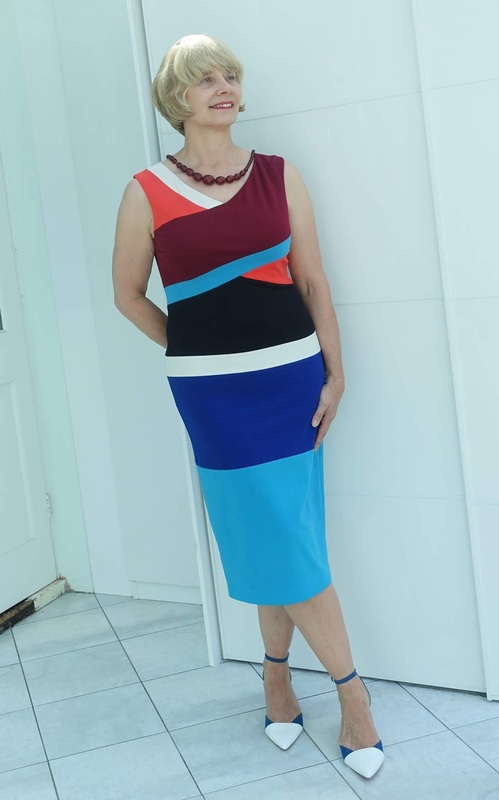 What a fabulous color block dress. Your mother's necklace is the perfect accessory to coordinate with the burgundy stripes--and those shoes! 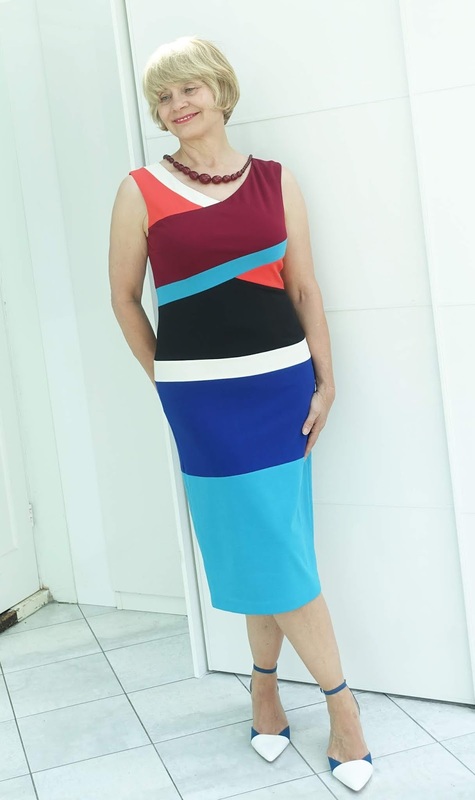 you look stunning in this color block dress. Thanks for joining the Top of the World Style linkup party.